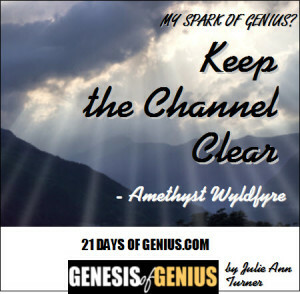 A clear channel to your SOURCE of inspiration is imperative if you want your genius spark to stay alight! The best ways to keep that channel clear? In NATURE and in your own nature - When those HOT LIKE FYRE ideas start downloading flow them right through your clear channel into the earth for her to hold in her beautiful belly for you. 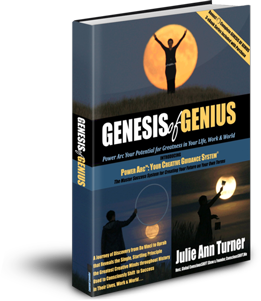 Then align with your own natural cycles to germinate, cultivate, grow and harvest from these amazing ideas and insights that you have planted in the planet! know what works for you and what doesn't. Create a sacred space within which you will nurture yourself and those creative sparks. The sacred space is the container (like a fire pit) that allows for the creative sparks to warm and enlighten. 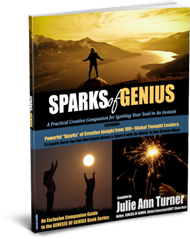 When the fire is contained appropriately and not WYLDLY burning out of control people are attracted, want to come close and engage with your genius. Speak/Express your creation out - if you stifle, hide or repress your creative spark then the fire goes out. 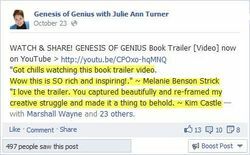 Keep your channel CLEAR and open to receive even MORE inspiration from your Source. "Empty the cup" by sending your creations out for consumption or otherwise releasing them from your channel - remember not everything has to be sold or told - sometimes releasing is a private act. I AM a PURE CLEAR CHANNEL - Light is MY GUIDE. 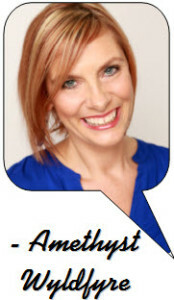 Amethyst Wyldfyre Empowered Messenger Master Mentor - Internationally Known Visionary Leader, Spiritual Channel, Best Selling Author & Award-Winning Performer & Entrepreneur.